6 Little Habits That Will Make You Happier RIGHT NOW! • Taislany Gomes . 6 Little Habits That Will Make You Happier RIGHT NOW! 1.Take the time to plan your days. Is there anything worse than realizing that YOU still have a pile of things to do? The stress levels go through the roof! Instead of becoming upset about it, take the time to plan your days better. Why not take 5-10 minutes before bed to pinpoint the things you have to get done? It will really help you to complete those tasks if you have them in front of you. Once you make this a habit, it will always be a priority and your days will feel more organized. Making you feel productive & happier. How do you find your purpose if you don’t understand yourself? Having interpersonal intelligence means understanding who we are and knowing how to identify your emotions. Understanding yourself solves problems and helps you identify your capabilities and also your limitations. It’s not an easy task but once you master it, you’ll be able to avoid frustrations. Being in control of your mindset will definitely make you happier. 3. Stop fixating on what other people are saying, or doing. Whether you’re feeling terrible or great, stop concentrating on what other people are doing – focus on you! Their lives is an illusion and out of your reach. There’s something beautiful awaiting for you but if you keep building your ego around a life that is not yours, you are just wasting time and energy. Make sure to build your self-esteem and happiness around living the life you have and making it into the life you want. So cliché, right? You don’t like what you do but can’t afford to quit your job, why not set up your own business and change the course of your life – do it on your free time! Your life is so valuable and no money in the world can buy it or change it. Don’t let your worries get in the way of you following your passions and dreams. You just need to start with a positive mindset. 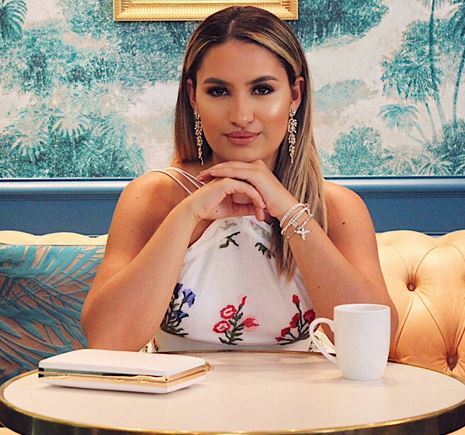 Lots of people make money by making YouTube videos, by talking about their favorite beauty products or traveling the world and sharing their experience with you – the key to their success? They followed their gut! There is no miracle formula and let me tell you… it’s not easy! We don’t see the years of hustle and all they went through to get there. The only thing that keeps them going is passion and dedication. So, make sure not to push yours to the side! Having people that love you and care about you around is absolutely incredible! Deep down, they increase your energy levels. How? Have you noticed those days that you feel down and your friend came over and you instantly felt better? That’s what friends do (especially the ones worth having). People who are really important to your life will encourage you and help you make smart decisions. The closer you are to your friends, the happier and more fulfilled you will be. I hope these tips are helpful to living a happier life. What do you do in order to be fulfilled? Let me know in the comments below!